Question and Answers Of "The Grandmother". 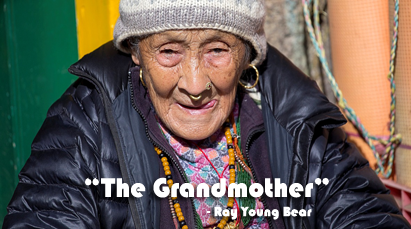 "The Grandmother" was written by Ray Young Bear. Ray Young Bear, an American-Indian poet and novelist, was born in a Mesquaki tribe. The theme of his writings is the contemporary American Indian's search for identity. Question No. 1: What images do you find in the poem written by a member of the Sauk and Fox (Mesquaki) Indian tribe of North America ? To what senses do these images appeal ? 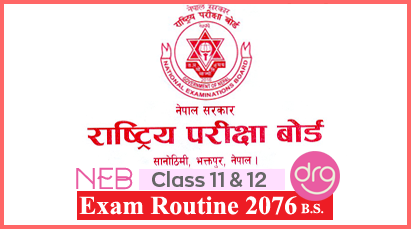 (उत्तरी अमेरिकामा सोक र फोक्स (मेस्क्वाकी) इन्डियन प्रजातिका सदस्यहरु द्वारा लिखित यस कवितामा तपाई के विम्व (images) पाउनु हुन्छ ? यी विम्वहरुले कुन इन्द्रियहरु (आँखा, नाक, कान, जिब्रो, स्पर्श) लाई आकर्षण गर्दछ ? Answer: The poem is full of metaphorical implications. In a sense the whole poem is a massive (विशाल) metaphor (रुपक) of the Mesquaki poets's attempt to reflect upon the vanishing native identity of the Mesquaki Indians. The poem has many images that appeal to our different senses. For example, the image of 'purple scarf', 'plastic shopping bag', 'hands', 'head', 'rock', 'light', 'stirring ashes', 'sleeping fire' and 'night' appeal to our sense of sight. Grand mother's 'warm' and 'damp' hands appeal to our sense of touch. The 'smell of roots' appeals to our sense of smell. The 'voice' from the rock and 'her words' evoke (जगाउनु) our sense of sound. Thus, the imagery used in the poem presents a concrete picture of the poet's grandmother. Answer: The speaker feels a deep sense of intimacy toward his grandmother. He finds her all loving and all-inspiring. Therefore he identifies her from the distance when she goes to or returns from the market carrying a plastic shopping bag. Answer: Ray Young Bear remembers his grandmother wearing a purple scarf and carrying a plastic shopping bag. Moreover, he remembers her touching him with her loving hands, which gave him a feeling of intimacy to her. He also finds her voice coming from the rock inspiring all the time. These are the mainly the four things he never forgets about his grandmother. Question No. 4: What is the central idea of the poem ? Answer: The central idea of the poem is the poet's search for his cultural identity. Here, the 'Grandmother' represents the cultural identity of the Mesquaki tribe. By remembering his grandmother, he is lamenting the loss of cultural identity. The poet is suggesting that the cultural identity is the base of their existence. Everyone should work hard to seek and preserve such identity. Class 12 Course "The Grandmother"
Answer Questions Of "The Grandmother"
Complete Solution Of "The Grandmother"
2 Responses to "The Grandmother | Question and Answers | Class 12"
Thanks for stopping by Brother. Appreciated.